The City of Shasta Lake provides an excellent system of parks which offer a variety of activities for residents, plus a place for families to gather for picnics and other outdoor activities. Park pavilions are available for reservations. The City's Public Works department has a year-around responsibility for the daily operations of all Shasta Lake's parks, grounds maintenance for all and operational support for recreational activities and special events. FACILITIES: soccer field, BMX track, basketball court, paved walking and biking trail, playground play areas (2), and restrooms. 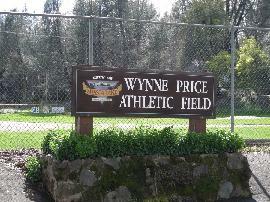 FACILITIES: This park primarily serves as the baseball field complex for the Shasta Dam Area Little League. The park features restrooms and a playground area. FACILITIES: Stadium style baseball field. 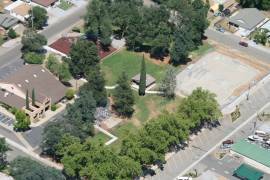 This park primarily serves Central Valley High School. Other facilities on site include a concession building, tennis court, and two playground areas. FACILITIES: Playground, basketball court, and open grass play area. 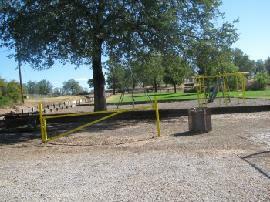 FACILITIES: Playground with open grass play area.